Colombo finally opened another 5-star hotel reportedly almost after 3 decades. 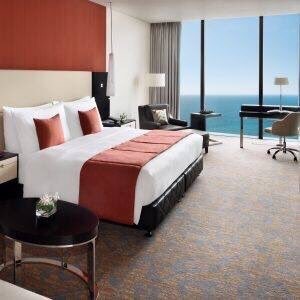 The 219 room Movenpick City Hotel Colombo was opened today by President Maithripala Sirisena. With open spaces, modern designs and cool features, Mövenpick Hotel Colombo is the first new five-star hotel to open in Colombo in 30 years, making it the perfect base from which to explore this capital city. 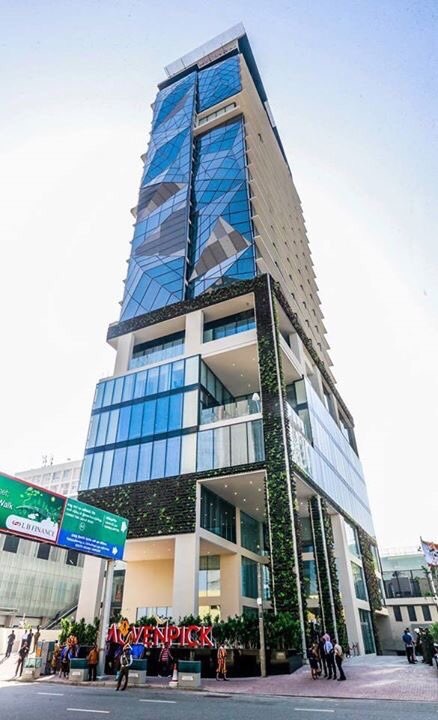 Situated in the commercial and cultural heart of Sri Lanka’s capital city, this stunning 24-storey hotel brings a touch of altitude and attitude to Colombo’s hospitality scene. Contemporary design, panoramic views and an uplifting atmosphere are just some of the highlights of the 219 spacious rooms and suites . Themed restaurants and a spectacular rooftop bar complement a beautiful spa, fitness centre, jacuzzi and infinity pool. The 5-star Mövenpick Hotel Colombo is located close to the Liberty Arcade, Colpetty market and National Museum.